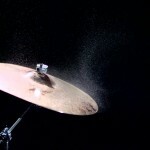 How It’s Made: Cymbals! The kid liked this slow motion cymbal video so much that we kept looking into cymbals and found a great clip from the Discovery Channel/Science Channel’s How It’s Made. How are pencil sharpeners made?